The U.S. Coast Guard works to limit potential navigational conflicts. 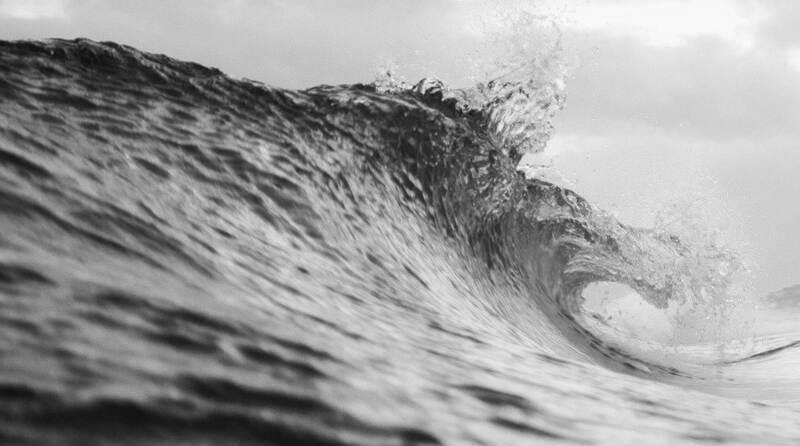 Since the Atlantic Ocean is an emerging hot spot for alternative energy development, the agency needed to determine if any shipping routes should be modified to account for current or potential ocean energy projects. 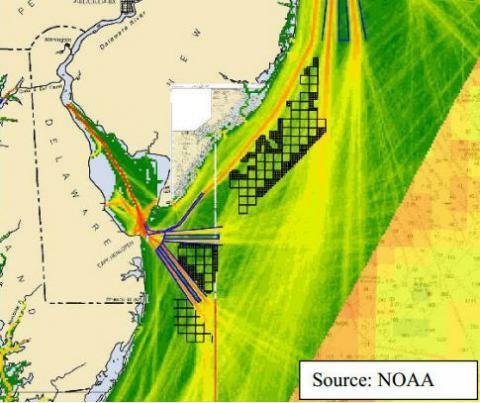 The U.S. Coast Guard funded the Atlantic Coast Port Access Route Study to determine if potential offshore energy sites would conflict with shipping traffic. The study team relied on the Coast Guard’s Automatic Identification System (AIS) data, which shows where ship traffic exists, other MarineCadastre.gov data, and the MarineCadastre.gov National Viewer to create study maps. AIS data processed by the Bureau of Ocean Energy Management, and provided through MarineCadastre.gov, were used to analyze the ship tracks against wind energy proposals to determine if conflicts existed with traditional routes. These same data and tools were used to create maps that communicated the final wind planning area recommendations. Using MarineCadastre.gov products helps the U.S. Coast Guard and the contractor, Booz Allen Hamilton, conduct more efficient analyses, since the derived AIS data greatly reduce the team’s data processing time. Wind planning areas, once designated, are easily compared to AIS data from MarineCadastre.gov to help determine if these areas would cause potential conflicts with current ship-traffic lanes. The high quality of all data sets allows the U.S. Coast Guard to create PDFs for printouts and presentations without having to further enhance the maps. AIS heat map of the Delaware Bay entrance displaying New Jersey, Delaware, and Maryland wind energy areas.